A new adaptation of Igor Stravinsky's ballet, featuring an all-female cast. The Earth is scorched and barren, but the elder Sage has visions of Spring returning. This brings the Women hope for their ever-dying lands. But they are the last of their kind, and this prophecy comes at a cost - one of them must be slaughtered. Who will be the Chosen One? What are they willing to sacrifice? Is it too late to reverse the damage that has been done? Rite of Spring imagines a future wrought by ecological collapse and human desperation, told vividly through dance, puppetry, mask, and Stravinsky’s iconic score. 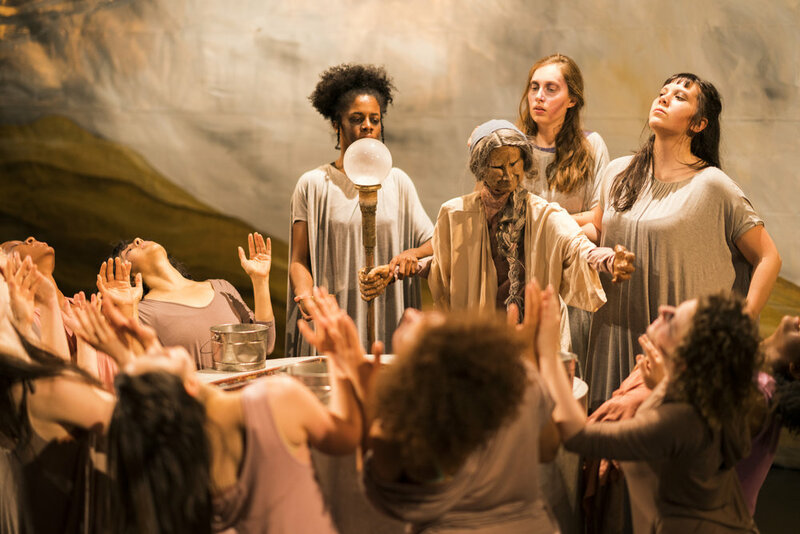 Rite of Spring marks the company’s first wordless production since 2014’s Doctor Caligari. CONTENT WARNING: Contains blood; images of death and violence. Climate change is real. Protecting the future of our planet starts with us. In this spirit, Pointless is donating HALF of all funds raised during our Rite of Spring campaign to Casey Trees, a DC nonprofit that works to restore, protect and enhance the tree canopy in our nation's capital.